The music world lost one of it’s most prolific and versatile talents with the passing of André Previn on February 28 at age 89. The musicians that played in the Pittsburgh Symphony Orchestra during Previn’s tenure as Music Director from 1976-1984 (of which there are fewer than 10 on our current roster) are key parts of his living legacy. History is preserved among orchestral musicians through the memories and stories of those who have come before us. As a recent addition to the PSO, I feel warmed by the realization that, through storytelling, our most important figures will not be forgotten. ​As I asked these musicians for their memories, certain aspects of Previn’s personality began to stand out. First, he was most comfortable being viewed as part of the band or “one of the cats.” He was, above all else, a working musician: a maestro who carried his own suitcase on tour and who, at a Midwest tour post-concert reception, fed the PSO musicians what he thought a touring band should eat—hot dogs and beans. Previn had a tremendous respect for other famed conductors, musicians, and peer composers. More often than not, he placed his abilities and accomplishments well below theirs. He felt daunted by the task of bringing classical music to life, and thought that no performance of the best classical works could come close to their potential as Art. On the other hand, he felt quite comfortable and confident in his abilities playing jazz, music which he believed was brought to life by the individual performer. ​Previn was highly quotable. “If I miss a day of practice, I know it. If I miss two days of practice, my management knows it. If I miss three days of practice, everyone knows it,” repeats in my head until I pull myself off of the couch to practice on days off. I would encourage you to do a quick google search of “Previn quotes” and see what pops up; they are delightfully witty and self-deprecating. “In the early 80s I lived on Grandview Avenue on Mount Washington, about half a mile from Previn’s condo, so I would run into him occasionally. There was a butcher shop on Shiloh where I was picking out some fresh chickens. Previn came into the shop, took one look at the meat behind the counter and asked ‘What do you do with that?’ Somehow I gathered he didn’t know much about food preparation! “We were doing a concert of all three of the Bartók Piano Concertos with Vladimir Ashkenazy, and we were in rehearsal for, I think, the First Concerto, which is very seldom played. 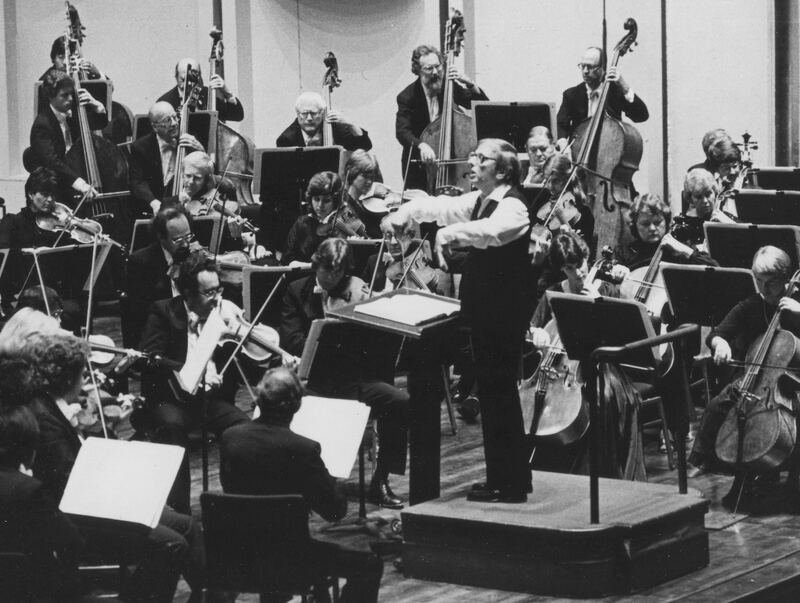 Previn asked the orchestra, ‘Has anyone played this concerto before?’ There was one violinist Kenny Linge (PSO 1938-1988), who sheepishly raised his hand.